With the cost of good medical care rising each year, it is becoming increasingly difficult for the average person to receive quality treatment. But in Mpumalanga, there is a quiet revolution taking place in the sector, and it comes in the form of eMalahleni Private Hospital (ePH). For the local population, the hospital is convenient – not just for its costs but also its location. Situated in the centre of eMalahleni, it is close to numerous public services and taxi ranks, making it accessible. The Industrial Development Corporation was involved when the hospital approached it for capital input and management expertise. The IDC funded 50% of the initial investment of R42-million and sourced Mandela Street Hospital Investments for its management arm. When ePH first opened, its stakeholders thought the bulk of business would come from its three theatres. But it turned out 80% of income was from medical patients who stayed an average of four to five days. This created a need for more medical beds. The hospital has 100 beds and in November 2012 was granted a licence to add 50 more beds. “We are doing the project in phases. The first phase is two additional ICU [intensive care unit] beds and four high care beds,” says Gelderblom. Thereafter, ePH would like to add a further 40 beds for a low cost medical ward and 35 beds with a step down unit. The institution also has a 20-bed day clinic and an eye surgery unit. According to Gelderblom, the unit makes up 50% of the day clinic business. Since it opened in 2011, ePH has tried to attract black general practitioners and specialists who previously did not have admitting rights at private hospitals. One way of doing this has been by offering them shares and consulting rooms at a lower rate to aid the growth of their practice. Additionally, consulting rooms are arranged to their specifications. “We give them a chance to build their practice before we charge them rent. It takes about six months to generate cash flow but if that does not happen then we extend it,” says Gelderblom. Thabo Monareng, the chairperson of managing company Mandela Street Hospital Investments, says some of the doctors are young and need the funds to get their practices under way. However, one of the hospital’s major challenges is retaining the doctors. Gelderblom says they tend to practise in ePH for a year, only to leave the town and open up a practice elsewhere in the country. Among the hospital’s own staff members, this is less common. The hospital has approved a profit sharing programme whereby 8.5% of quarterly profits are paid out to its workers. The public health service is taking strain throughout South Africa and it is no different in Mpumalanga. Gelderblom says public hospitals in the province are understaffed, are short of equipment and do not have enough doctors. At times, she adds, doctors have to turn away numerous patients each day as they cannot tend to them. At least 70% of ePH’s patients work on the mines. eMalahleni itself was built on the coal mining industry, which makes up 15.5% of the town’s employment. But before the hospital opened, these workers could not afford health care. Most medical aids that were geared for mine workers made health care almost unreachable. After partnering with the National Hospital Network, ePH went on to negotiate better fees for medical aids, therefore pricing health care reasonably for the miners. 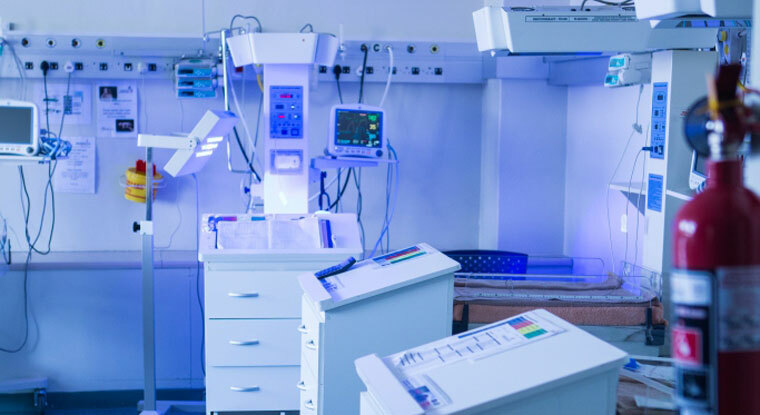 As a result of this successful working relationship with the region’s public hospitals, the provincial department of health granted ePH four paediatric ICU beds, the first of their kind in Mpumalanga. The installation of these beds will be part of the hospital’s second phase of development. The health department had also benchmarked the hospital’s kitchen according to the national core standards for health establishments. Representatives from various public hospitals around the country have already visited the kitchen, with the aim of replicating its facilities. The department may look to benchmark the hospital as a whole in the near future, says Gelderblom.